The William Floyd School District was recently named a “District of Distinction” by District Administration Magazine, a district-level publication for leaders in K-12 education. L-R: Kevin M. Coster, Superintendent of Schools; Barbara Butler, Principal, William Floyd High School; and Kathleen Keane, Assistant Superintendent for Secondary Instruction and Administration. Mastic Beach, NY - March 22, 2016 - The William Floyd School District was recently named a “District of Distinction” for March 2016 by District Administration magazine, a district-level publication for leaders in K-12 education that showcases effective and innovative programs from districts across the nation that can serve as models for replication. William Floyd was selected as one of 33 school districts for March 2016 for “Differentiated Professional Development for Teachers” in which teachers with skills in certain areas were tapped to become teacher leaders and provide training to their colleagues. Results revealed that teachers met their guidelines for teaching objectives more often. Additionally, off-task behavior for students has been cut in half while engagement, which is defined as overt behavior leading to the accomplishment of an objective, increased by 56 percent. 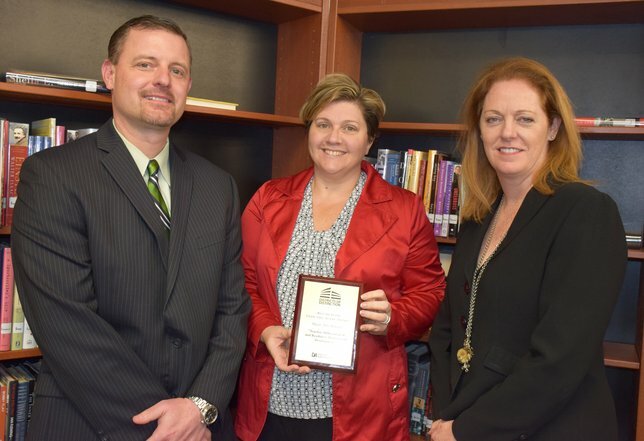 The district was nominated for this honor by William Floyd High School Principal Barbara Butler. Subject: LongIsland.com - Your Name sent you Article details of "William Floyd Named ‘District of Distinction’ for March 2016"